Cleaning Solutions Tailored to your Needs. The use of Tennant equipment can enhance your facilities image, improve safety and help keep your stock and merchandise free from dust and damage . 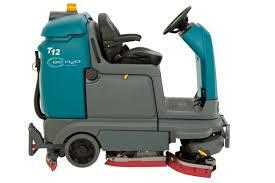 The T12 is a compact, maneuverable scrubber that delivers heavy duty performance. 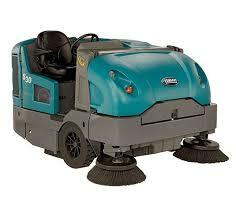 The combination of a tight turning radius and optional scrubbing side brushes, allows for cleaning in a variety of confined spaces. 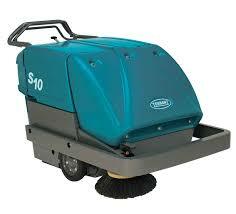 The S10 Sweeper is built to tackle the harshest of industrial enviroments. The S10 features a superior dust control system which filters particles to 3 microns. 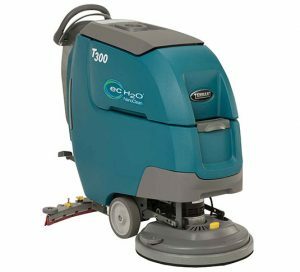 The S30 sweeper provides excellent indoor and outdoor dust control on a variety of surfaces The S30 captures dust particles as small as 0.5 microns to ensure a virtually dust free floor in a single pass. 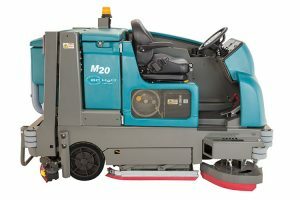 The M20 integrated, industrial strength scrubber – sweeper that produces outstanding cleaning results in one pass. Save on cost of ownership with an integrated machine thats built to last. 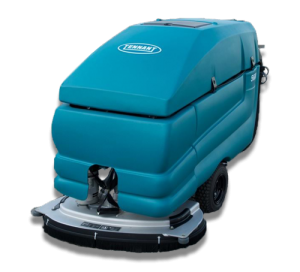 The 5700 offers superior performance with aggressive scrubbing systems of up to a 136 Kg of down force, shock absorbing frame and a durable polyethylene construction.